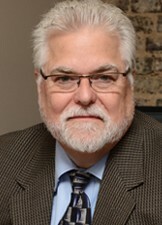 James D. (Doug) Horn is the founder and principal of Quality Financial Concepts. For more than 33 years, Doug has distinguished his practice by demonstrating his knowledge of the investment markets, insurance products, taxation issues (specifically as they relate to retirement), business succession and estate planning. Even though QFC benefits today from a full support staff, Doug continues to lead his firm in servicing clients throughout the United States. Doug’s specialty is working with business owners, managers, executives and retirees who are often overwhelmed by the demands of their own schedules. Quality Financial Concepts provides these clients with hands-on management of their financial assets, allowing them to set the direction of their resources while avoiding the worry of day-to-day decision-making and maintenance. Since moving from Dallas, Texas, to Maryville in 2001, Doug and his wife, Teresa, have been equally as committed to serving the interests of their community. In 2002, the couple received the Oak Shingle award from the Blount County Historical Trust Society for the extensive renovations they made on their downtown Maryville office building, which dates back to the 1860s. They later received an Oak Shingle award in 2007 for their renovations to Preservation Plaza, another historic downtown Maryville structure. Doug also shared his financial expertise with the community through a column called “Money Matters,” which ran for several years in the weekly publication Blount Today. From 2004 to 2011 (when the paper stopped circulation), Doug authored hundreds of articles on a wide range of financial topics.